Nokia is all set to launch Nokia 2 Smartphone. 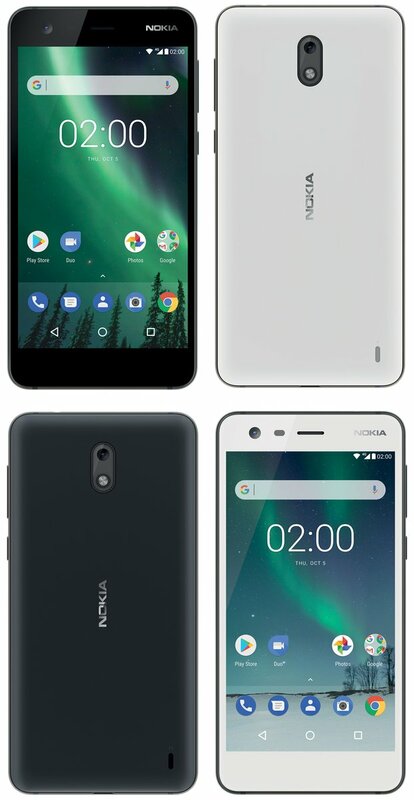 Now Press image of Nokia 2 has been leaked online, Shows On Screen button and Design of Phone. Nokia 2 (TA-1029) will pack a 4000mAh battery.Nokia 2 to feature a 5-Inch HD display and the phone could be powered a 1.27 GHz Quad-core Qualcomm Snapdragon 212 Mobile Platform with 1GB or 2GB RAM and run Android 7.1 (Nougat). It is rumored to come with an 8-megapixel rear camera and a 5-megapixel front camera.